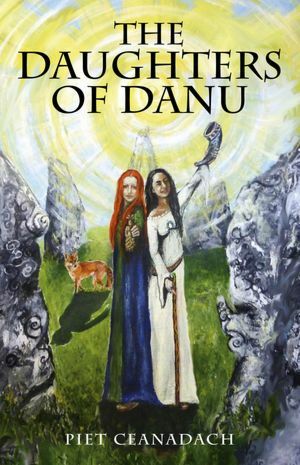 The Daughters of Danu is a wonderful and very enjoyable book to read. Though the blurb on the back and some other descriptions available make this book sound like it's an instructional book, it's really not. It's a story. And a good one at that! Once I started reading The Daughter's of Danu I had a hard time putting it down. The story takes the reader through the lives of several members of a Celtic community during a harsh winter. Ceanadach shows the difficult reality of life before modern conveniences without making the reading too difficult or inappropriate for a young adult to read. From worrying about the survival of crops to not having heat, the author paints a clear picture. He also does a very good job of showing positive family life situations during difficult times, such as everyone contributing with chores, supporting each other and being understanding. The author formats the book in a unique way in that character from which the point of view is shown may change when the reader changes the chapter. This can be a little difficult to follow, however it is advantageous in that we, as the reader, get to see things from various points of view and see how others are handling the situation as well as seeing how the situation is unfolding in different ways. Though a little short, this is a book that I would personally highly recommend to readers both young and old. Ceanadach takes the reader on an emotional and spiritual journey while the characters in their book, with the help of the young main character, re-discover their faith. This can really grab the hearts of anyone who chooses to read this book.